Inigo is all about sushi handrolls. We draw on the tradition of this Japanese - Australian delicacy and have created a delicious menu inspired by European and Pan-Asian flavours. 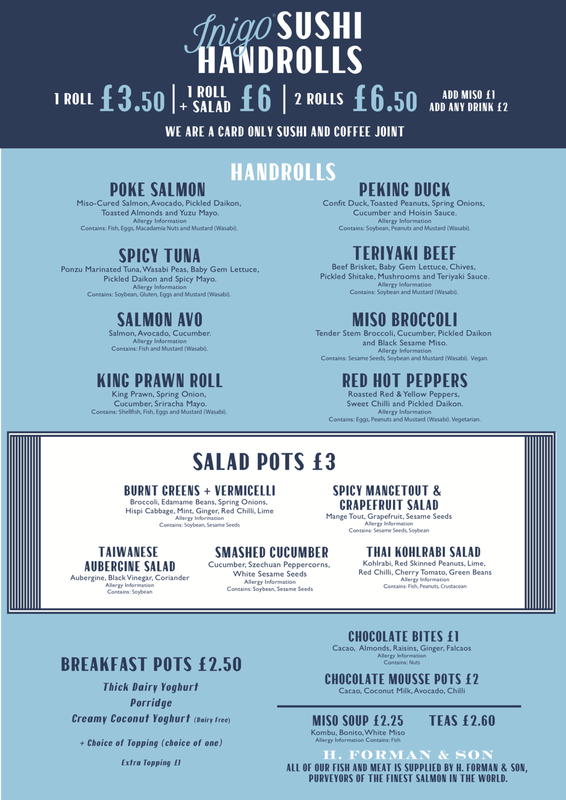 We are open from breakfast 'till late afternoon and alongside our sushi, we have a delicious set of salads and soup, snacks and baked goods. Inigo is ideal as a full meal and for a quick snack. We proudly serve Caravan Coffee and St. John's Bakery baked goods. We source our fish from H. Forman & Son and maintain a community focused operation; we source organically, use only environmentally friendly packaging and take care of our staff. Inigo has partnered with H. Forman & Sons so we can use the best in fish and meat in all of our handrolls. Renowned for their smoked salmon and quality of fish, H. Forman & Sons is a fourth generation family owned salmon smoker which supplies smoked and fresh fish to top hotels, restaurants and retailers including Gordon Ramsay, Marco Pierre White, Fortnum & Mason, The Dorchester and The House of Lords. Inigo is committed to reducing our footprint and caring for the community. The Living Wage is an independent movement of businesses, organisations and people who believe a fair day’s work deserves a fair day’s pay. This means that we pay each of our staff members at least the London Living Wage which is so important as it represents the real cost of living. We make sure we get our surplus food to the hungry, safely. While thousands of Londoners go hungry each day, safe, healthy and usable food is being disposed of as waste. 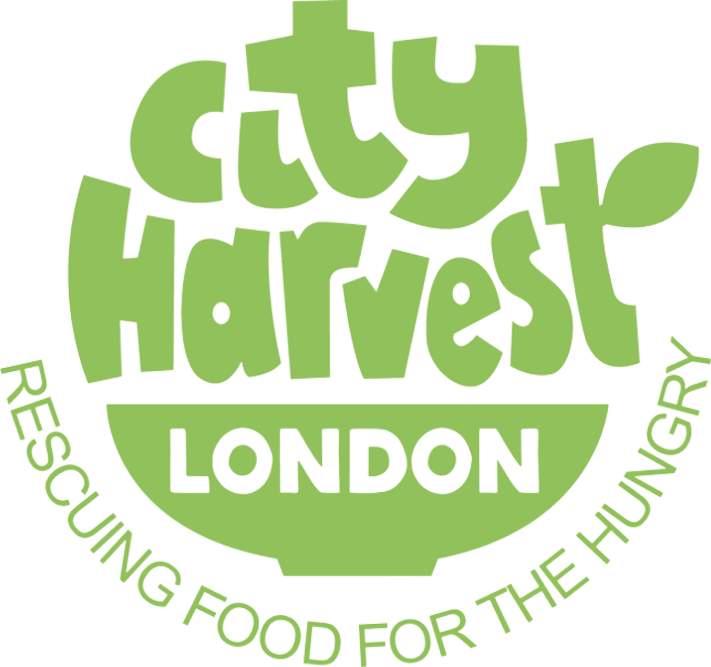 We are delighted to be working with City Harvest to distribute our surplus food to people and communities in need around London at the end of each day. We only use fully compostable Vegware packaging. 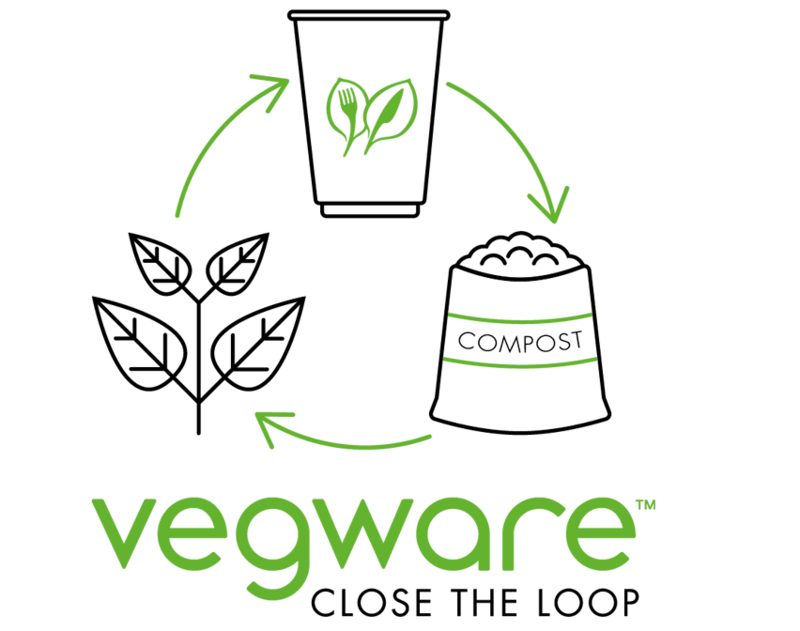 Vegware’s disposables are low carbon, made from renewable or recycled materials, and all can be recycled along with food waste. Compostable packaging breaks down completely, whether it is recycled via compostable methods or in general recycling. Importantly it does not emit any noxious fumes in this process seen in some recyclable and certainly in non-recyclable packaging. Vegware is also a Living Wage employer. We teamed up with our friends to make our sonic experience something to remember. Henry Bennett, Luke Pritchard and Bradley Zero will be taking the reins for the first few months. We will post playlists from our curators on our website and via Spotify. Come and listen in-store as well as the selection is larger and more intriguing.